Hailed as "a deeply natural songwriter" (THE NEW YORKER) who "defies expectations in his own way" (TIME) and "Gen X's most famous absurdist" (BLENDER), BECK is the single most inventive and eclectic figure to emerge from the ‘90s alternative revolution. In an era obsessed with junk culture, Beck seamlessly blends pop, folk, hiphop, indie/underground and electronica with the end result being an authentically uncategorizeable musical style that nevertheless has sold millions of records and scored multiple Grammy awards. 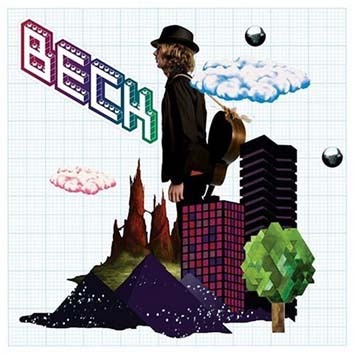 Three years in the making, THE INFORMATION is the album Beck began work on in 2003 with producer Nigel Godrich (Radiohead's OK Computer, Kid A; Beck's Sea Change, Mutations) and finally completed this year once Guero's massive success and encore touring engagements, as well as Nigel's other commitments, were fulfilled. THE INFORMATION is comprised of 15 songs and a DVD featuring homemade videos for each of the 15 songs shot in-studio during the actual sessions. The artwork for The Information is either non-existent or infinite, depending on one's point of view. Each copy will come in a blank package with one of four collectible sticker sheets specially designed by European and American artists and representative of the unique Beck aesthetic. 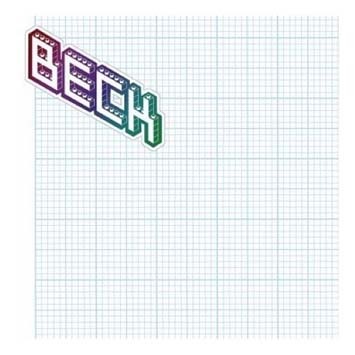 The stickers will give every Beck fan the opportunity to participate in the creative process by designing his or her own one of a kind CD cover.